« Where is the West Village’s Mixed Ale Alley? What’s in a name? Plenty, especially among certain factions of New Yorkers at the turn of the last century. 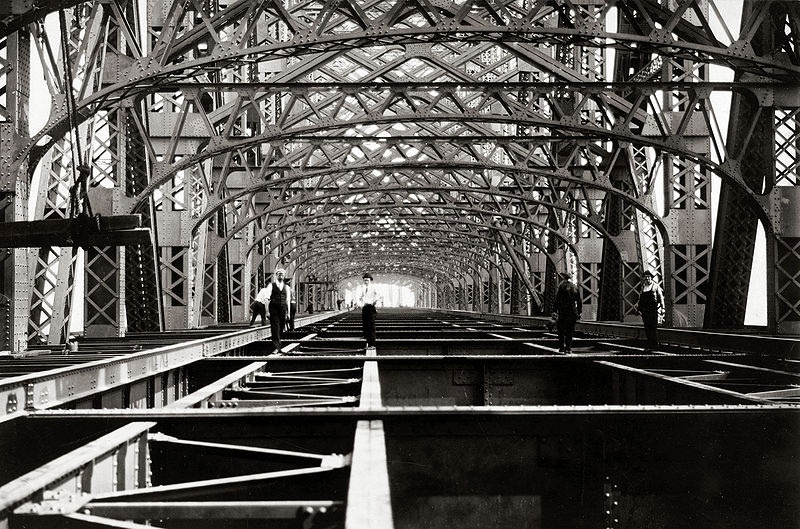 That’s when the city began building a great bridge that would link Manhattan to Queens. City officials planned to name it the Blackwell’s Island Bridge, after the spit of land (now Roosevelt Island) it would skip over in the East River. But real estate bigwigs from Manhattan and Queens objected; they felt the name had bad connotations. Blackwell’s Island at the time was infamous for its poorhouse and prison. The real estate guys were afraid New Yorkers would shy away from the bridge—and their neighborhoods—to avoid the unsavory assocation. On the other hand, many Irish residents were opposed to the Queensboro name because they felt it sounded too British. The leader of one Irish group even suggested calling it the Montauk Bridge, thinking it had a more American ring to it. 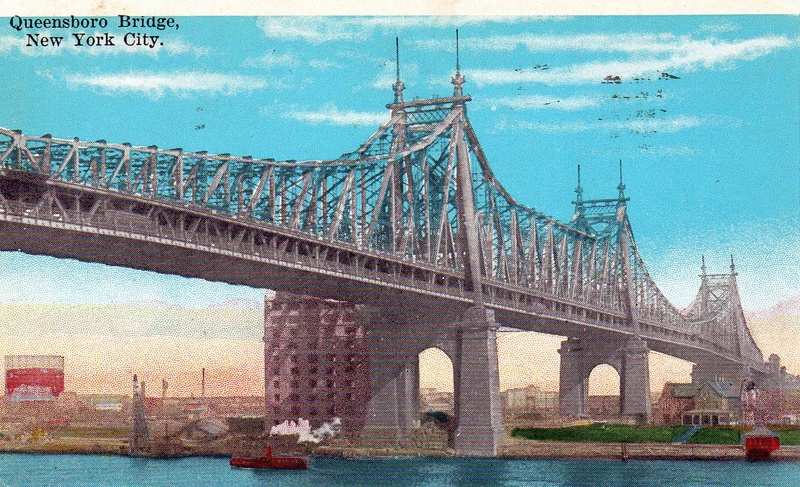 In the end, Queensboro was selected as the official name before the bridge opened in 1909. And it’s stuck ever since. This entry was posted on May 8, 2010 at 5:10 am and is filed under Beekman/Turtle Bay, Queens, Transit, Uncategorized. You can follow any responses to this entry through the RSS 2.0 feed. You can leave a response, or trackback from your own site. And what you call the bridge if you grew up hearing that Simon and Garfunkel song…. There’s another bridge with a bit of a naming controversy. The Triboro Bridge is now called the RFK Bridge. I grew up in Queens and we called it the 59th Street bridge. So did Simon & Garfunkle and they also grew up in Queens. I’m feeling groovy! my officemate is from kew gardens and he also calls it the 59th street bridge. It had a bad association with Blackwells Island, a place that housed an insane asylum. Hence Queensboro, a generic name if there ever was one. Calling it the 59th Street street is accurate only to the tastes of Manhattan centric people. I grew up in Queens and alternately called it the Queensboro or the 59th Street, depending on where I was going or coming from (and also which popped into my mind first-it was almost like a slot machine). And, Paul, I certainly wouldn’t refer to myself or my family as Manhattan centric. Regrettably, it has been renamed the Edward I. Koch bridge. Mayor Koch had no particular connection whatsoever to Queens. I’m a Queens native and I, and virtually everyone that I knew, always called it the 59th Street Bridge. Not only was it ALWAYS called the 59th Street Bridge (except on signage) I remember the defunct trolley tracks that exited into an underground station at the Manhattan side.